Sam Cane has been cleared to return to contact training after breaking a bone in his neck and was called up to a one-day All Blacks training camp. The invitation was a boost to the flanker's hopes of making New Zealand head coach Steve Hansen's Rugby World Cup squad. Cane had to have an operation in South Africa after sustaining the injury playing against the Springboks in Pretoria last October and the 27-year-old has not played since. However, his Waikato Chiefs coach Colin Cooper told reporters in Hamilton on Tuesday that he had been cleared for contact, just in time for the All Blacks' first 'foundation day' next Monday in Wellington. 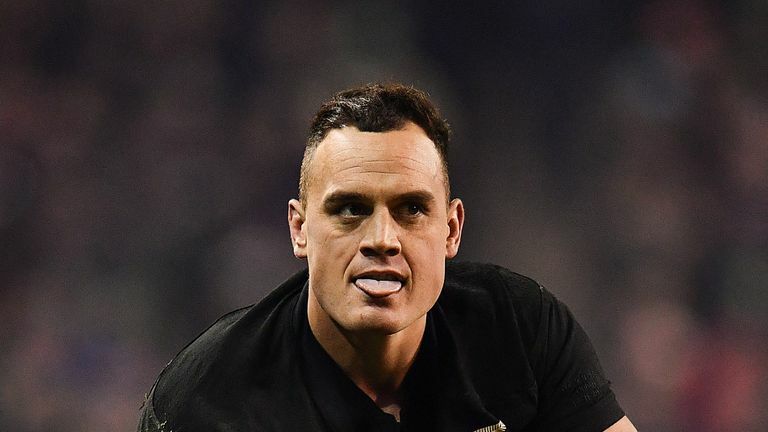 The one-day camp, where the players undergo fitness testing and hold planning meetings, is one of three the All Blacks coaches have scheduled during the Super Rugby season as they fine tune plans for the World Cup in Japan later this year. One for players based in the North Island will be held in Auckland on May 20, with another for South Island-based players in Christchurch on June 3. New Zealand Rugby head of high performance Mike Anthony said: "The foundation days will provide an opportunity for All Blacks management and our leading players to start building towards what is a huge year ahead". Cane was among a handful of long-term injured players, including loose forward Liam Squire, scrumhalf Aaron Smith and winger Waisake Naholo, included in the initial 41-man planning squad. All had been involved with the All Blacks, or their extended training squads, over the last two years, with Auckland Blues loose forward Akira Ioane the only player not to have appeared in a test match. Former All Blacks centre Ma'a Nonu, who last appeared for the national side in the 2015 Rugby World Cup final, was not included. Nonu had returned home for this year's Super Rugby season after three years in France and pundits had suggested he was keen to try to force his way back into national contention. Forwards: Dane Coles, Liam Coltman, Nathan Harris, Codie Taylor, Owen Franks, Nepo Laulala, Tyrel Lomax, Joe Moody, Angus Ta'avao, Karl Tu'inukuafe, Ofa Tuungafasi, Scott Barrett, Jackson Hemopo, Brodie Retallick, Patrick Tuipulotu, Samuel Whitelock, Sam Cane, Vaea Fifita, Shannon Frizell, Akira Ioane, Kieran Read, Ardie Savea, Liam Squire, Matt Todd and Luke Whitelock. Backs: TJ Perenara, Aaron Smith, Te Toiroa Tahuriorangi, Beauden Barrett, Damian McKenzie, Richie Mo'unga, Ryan Crotty, Jack Goodhue, Ngani Laumape, Anton Lienert-Brown, Sonny Bill Williams, Jordie Barrett, George Bridge, Rieko Ioane, Waisake Naholo and Ben Smith.